Need another book to fill the last slots of your summer reading list? How about Educated by Tara Westover? This memoir is sure to keep you turning pages. Educated by Tara Westover has been on the New York Times Best Sellers list for over five months, and we can see why. Tara Westover grew up in the United States, but not in the same way most of us did. Born in the Idaho wilderness, Tara was raised by religious fanatics who lived off the land as extreme Mormon survivalists, almost completely disconnected from society. Growing up, Tara and her siblings did not attend school nor see doctors. Tara didn’t even have a birth certificate until she was 9 years old. When she was 15, her older brother became violent, but her parents didn’t believe her so even Tara started to doubt her own experience. To escape her situation, she started to read, learning math and history to educate herself. This education sends her to the universities of Harvard and Cambridge, where she learns about events such as the Holocaust for the very first time. Despite her late start, she earns a PhD in history and decided to write down her story in this memoir. If you’re interested in reading about survivalist tales, off-grid living, subcultures, or the power of the human spirit, check out Educated. If you like Educated, you may also like The Glass Castle, a memoir by Jeannette Walls that explores her eccentric childhood also raised mostly off the grid, but within the bounds of society. Still, her family lives in extreme poverty, moving around across the US. In order to stay together, Jeannette and her siblings must hide their unusual family life and hunger, and Jeannette must carefully plan how to make her escape to make a life for herself and her siblings. See a full review here! 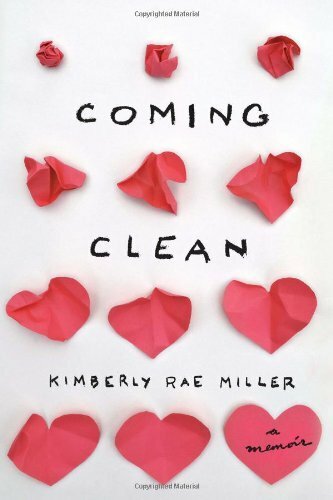 You may also consider Coming Clean by Kimberly Rae Miller. Another memoir of an untraditional childhood, Kimberly grew up among hoarders, and often without electricity or water. Between her mother’s compulsive shopping habits, littering the house with unused appliances and clothing and her dad saving everything, even trash and newspapers, navigating the house became difficult, especially once the mice and bugs moved in. The family went out to eat or ate prepackaged food because anything else would go bad. Kimberly learned to shower at the gym her family attended, and stay over at friends’ houses as much as possible. Only when she moved into her pristine dorm room would Kimberly get her first taste of what it is really like to live without the mess. Read our full review here!